Finance Costs > How Much Does a Real Estate Agent Cost? A real estate broker or agent is a licensed professional within the state who assists either a seller or buyer purchase either a new home, piece of vacant land or a commercial property. A real estate agent will help a client with many services such as a marketing, showing homes and offering advice. On average, a real estate broker works on a flat commission that is shared by the brokerage. 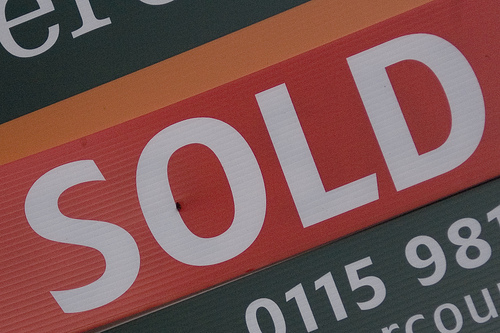 99% of the time, the seller will be the only one that pays out a commission to the agent. On average, the fee can range anywhere from 4% to 6% of the home value, but the industry standard is 6%, which is split 50/50 with the buyer’s and seller’s agent. So for example, a homeowner that sells a home for $200,000 would have to pay up to $12,000 in real estate agent fees if they were to pay the full 6%. This fee won’t be paid until you reach escrow and the sale is finalized. Once finalized, the funds will automatically be transferred to the brokerage at closing. Even though you pay the 6%, it doesn’t mean the agent will keep his or her 3%. Unless they are the brokerage owner, the brokerage actually pays the agent, keeping about 10 to 40% of the agent’s 3%. If you’re looking to buy a home, the only fee that a potential buyer may have to pay in regards to a real estate agent is an administrative fee that can cost anywhere from $195 to $895 depending on the brokerage, but again, there are many real estate agencies that do not have fees at all. A real estate agent will assist a seller with the processing of the paperwork, the marketing efforts, setting up open houses, assisting potential buyers, as well as helping with the entire closing process. The real estate broker is essentially your coach during the entire process helping with any questions, negotiations and more. Ultimately, their end goal will be to sell the house for as much as they can in the fastest timeframe possible. A buyer’s agent will help show homes in the area, show you comparable prices for these homes, find homes that meet certain criteria and send you reports daily, as well as assist with paperwork, closing, and the negotiation process. Additional marketing fees may apply for sellers that want to market in different ways such as a newspaper, radio or even a local guide. An additional office administration fee may apply on top of the brokerage fee. Real estate agent fees are only part of the fees when purchasing or selling a home. Other additional fees that are outside of the brokerage such as title, taxes and appraisals, for example. Try to talk with previous clients to see how they liked their real estate agent. The more you know about them, the better it is. It also doesn’t hurt to check out their reviews on Zillow, Yelp and Google. Always make sure that they are licensed within your state and legally can practice real estate. Consider looking up those that have won awards through the National Association of Realtors. According to Redfin.com, you usually don’t have to pay a commission if your home doesn’t sell and your contract had expired; however, there are some exceptions, which may include if your agent had found a buyer or you backed out of a sale. Highly consider real estate services that offer services at a heavy discount. Online real estate agents such as RedFin.com and HungryAgents.com can both find a potential buyer or seller an agent that is willing to work at a fraction of the cost. When going this route, make sure that you consider talking with a few agents. Just because they are cheap, you’ll find that it doesn’t mean that they are going to do a great job. Since it doesn’t cost you anything to use a real estate agent when buying, it doesn’t hurt to talk with a few agents to see what they can find in your area. It doesn’t hurt to negotiate the commission rate before selling the home. Even if you pay 5.5% instead of 6%, it could still save you thousands of dollars. Consider becoming your own real estate agent. While we don’t mean getting your license, simply search for homes online and find the ones you like. If you love the home and you’re not working with an agent, ask the seller’s agent if they are willing to work for a total of four or five percent instead of a total of six if you were to use them as both the buyer and the seller. Most of the time since this agent is going to get three percent anyways, they will be more than happy to represent you as the buyer for a five percent commission. Remember just because a realtor shows you a house, it doesn’t mean you have to use them unless you sign a buyer-agent agreement. This, of course, may change if you were to see the house with one real estate agent and buy with another.